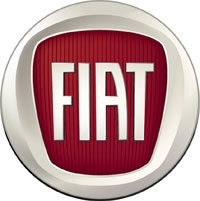 MILAN (Bloomberg) -- Fiat is trimming the European management ranks at its volume nameplates by 20 percent to reduce operating losses, a person familiar with the matter said. The carmaker is eliminating about 110 of 550 managerial positions in the region at its car brands, including Fiat, Alfa Romeo and Lancia, said the person, who asked not to be identified discussing internal personnel decisions. About 100 of the jobs will be eliminated in Italy, where the bulk of the managers are employed, three people said. The reductions started in June, two of the people said. Fiat is under pressure from politicians and unions to invest in Italy after taking a controlling stake in U.S. automaker Chrylser Group. Fiat said Sept. 18 it won't give up on its home market even as the carmaker is set to lose 700 million euros ($907 million) in Europe this year. CEO Sergio Marchionne is scheduled to meet Italian Prime Minister Mario Monti in Rome Sept. 22 to discuss his plans. "There's a controlled hemorrhage," said Roberto Granatelli, a Federmanager union representative in Turin. "We have been working to avoid conflicts with the company. The exact number of fired managers will depend on the decision that the government will make with Fiat on its future plan for Italy." Granatelli declined to confirm the number of managers being fired. Fiat has temporarily stopped new investments in Italy, reducing spending by 500 million euros in Europe in 2012 and delaying new models. Marchionne has said he doesn't expect sales to recover in the region before 2014 at the soonest. Fiat said in August it's focused on temporary layoffs to reduce costs during the crisis as opposed to permanent job cuts.